There are several myths and misconceptions related to Diabetes that must be clarified for proper management of this disease. Basically, diabetes is a metabolic disorder caused when the pancreas stops producing a hormone called insulin, or when insulin does not work properly. This peptide hormone regulates carbohydrate and fat metabolism in the body. It removes excess glucose from the blood. Thus, insufficient production of ineffective utilization of insulin leads to high levels of blood sugar. Type 1 diabetes or juvenile diabetes is usually caused by a genetic predisposition whereas type-2 diabetes can be caused by genetic as well as lifestyle factors. 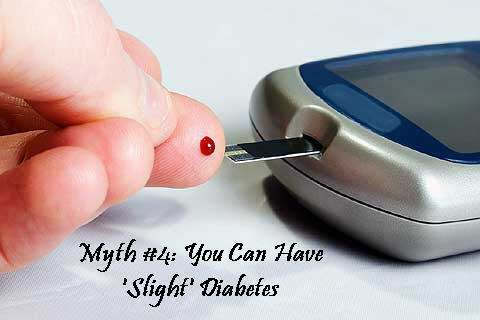 However, there are various myths concerning the development and management of diabetes that can make it difficult to understand this serious disease. 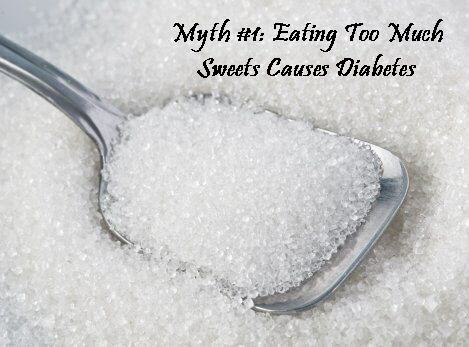 This is perhaps the most common myth associated with Diabetes that has even been declared false by scientific bodies. Nonetheless, diabetes, type-2 diabetes or non-insulin dependent diabetes, in particular, is attributed to overeating and obesity, not just over consumption of sweets. When an individual takes extra calories that the body does not require for energy, the body converts these calories into fat. In addition, it impairs insulin function in the brain and prevents the breakdown of fat. Studies suggest that overeating causes your brain to develop insulin resistance. Thus, any diet which is high in calories can increase the chances of becoming overweight and developing diabetes. These calories can come from sugars, carbohydrates and fats. The American Diabetes Association, thus, recommends limiting one’s intake of sugary drinks like regular soda, fruit punch, energy drinks, sports drinks, and so on. This is again untrue. Individuals suffering from diabetes, need not give up sugar altogether; they just need to control the total amount of sugars and carbohydrates they take. Thus, you can have your favorite dessert, though in a limited quantity. You can even eat small amounts of sugary treats, provided you are taking balanced medication and following your exercise regime. However, do not try to ‘cover’ anything you eat with your diabetes drugs. Like sugar, foods containing carbohydrates, too, need not be given up. In fact, carbohydrates are an important part of any diet because they provide energy. Nevertheless, a diabetes diet requires you to watch the number of carbohydrates you consume because it influences blood sugar levels. 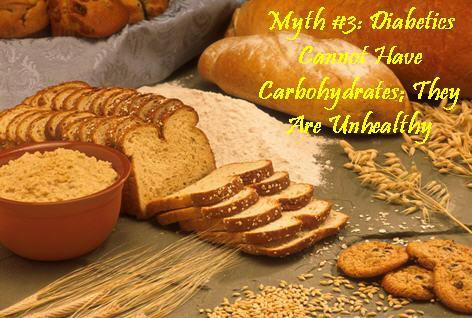 Complex carbohydrates, however, are considered better than simple carbohydrates. Thus, you can have brown bread, brown rice, high-fiber cereals, beans, peas, chickpeas, sweet potatoes, etc. At times, people prefer to have proteins over carbohydrates, but they should remember that a diabetes diet requires protein only as 15-20% of the total calories. There is no such thing as ‘slight’ or borderline diabetes; you can either have diabetes or not have diabetes. You can find out the various testing criteria for the diagnosis of diabetes, here. Diabetes is not a curable disease. Nonetheless, this metabolic disorder can be controlled and managed efficiently with insulin. 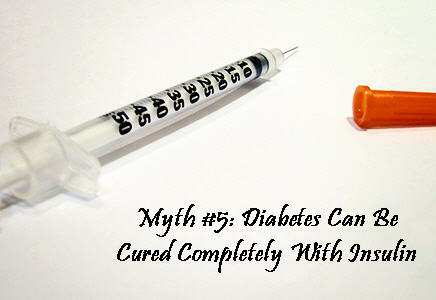 Type 1 diabetes, in particular, may require insulin. 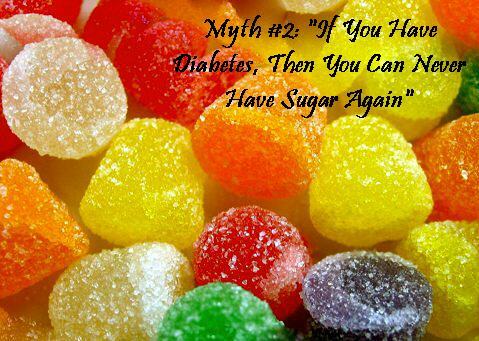 Type 2 diabetes, however, is first controlled with diabetes diet, exercise and weight reduction. If these measures fail to give control the blood sugar levels, then oral medications are used. In case the situation does not improve even after the oral medicines then insulin therapy is considered. The oral medications for diabetes are not the same as insulin; they help reduce blood glucose levels, stimulate insulin production, increase insulin supply, stimulate the liver to make less glucose, or make the body more sensitive to insulin.